The Rev. 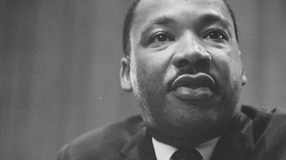 Martin Luther King Jr. gave three "glorious" speeches on campus between 1956 and 1966, a legacy that inspired this year’s University MLK Celebration. Scholars debate how to better prepare PhD students for nonacademic careers. Students often continue to collaborate with professors after earning their degrees. Sometimes those relationships move beyond collegial to true professional and personal friendships. The namesake of the Republican presidential front-runner was a star quarterback at UChicago. If there is a point where religion and science intersect, Argonne's Kawtar Hafidi may have found it. It's normal for deficits to rise during a downturn, Chicago Booth professor and former Obama adviser Austan Goolsbee says. The real fiscal challenge is decades down the road. A study led by UChicago's Wilhelm Hofmann shows that people with the best self-control actually use their willpower less often. Despite the UChicago political scientist's controversial views, an Atlantic essayist argues his life's work has changed how we see foreign policy. 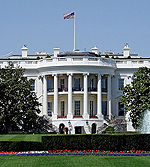 Leading political figures, including David Brooks, AB'83, and Chicago mayor Rahm Emanuel, will be part of a campus panel discussing the 2012 election. Watch online Thursday at 2 p.m. CST. 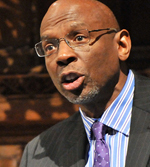 At the University's MLK Celebration, Geoffrey Canada, the president and CEO of the Harlem Children's Zone, says fulfilling the civil-rights leader's dream depends on our children's academic opportunities. Did you attend any of King's three Rockefeller Chapel addresses between 1956 and '66? Please share your memories in the comments section.